The growing popularity of early voting means voters are searching for candidate information and guidance weeks before Election Day. For that reason, The Journal Gazette editorial board accelerated its endorsement interview process to offer our recommendations earlier than in past years. While we recognize our political climate is increasingly fragmented and divisive, we still believe local newspapers have a responsibility to offer readers insight on the issues and candidates closest to home. We take great care to separate news coverage from editorial and opinion pieces, and we know our readers recognize the difference between the two. We also welcome views contrary to our own submitted as letters or oped columns. The endorsements published here and over the past week follow hours of interview sessions with individual candidates and a continual and close following of local government issues. Find all endorsements for the May 7 election online at journalgazette.net/Opinion/Endorsements. Tom Henry should have an easy time of it as he seeks the Democratic nomination next month for a fourth term as Fort Wayne's mayor. He faces two perennial candidates, Gina M. Burgess and Tommy A. Schrader, who have never held public office. But the path is almost guaranteed to get harder for Henry after the May 7 primary. Two strong contenders, John Crawford and Tim Smith, are squaring off for the Republican nomination. David Roach, another perennial candidate, is running for the Republican nomination, as well. First elected in 2008, Henry has presided over some of the most promising years in Fort Wayne's history, as the downtown area has been revitalized and the city has become the center of an effort to improve the quality of life throughout the region. As Henry readily acknowledges, the turnaround began under his predecessor, Graham Richard, and the battle to build Parkview Field. But the Henry administration picked up the baton. There's little question Fort Wayne is a better place to live and work than before Henry took office. Of course, there have been problems along the way – including an ill-thought-out annexation attempt in 2016, puzzlingly glacial negotiations on the Electric Works deal, and an agonizing transition to a new trash and recycling hauler last year. On balance, though, Henry has a record he can defend in the general election campaign. The challenge for Republicans this spring is selecting the candidate who can offer a more compelling vision for Fort Wayne's future than the proven leader of a city that's on a roll. 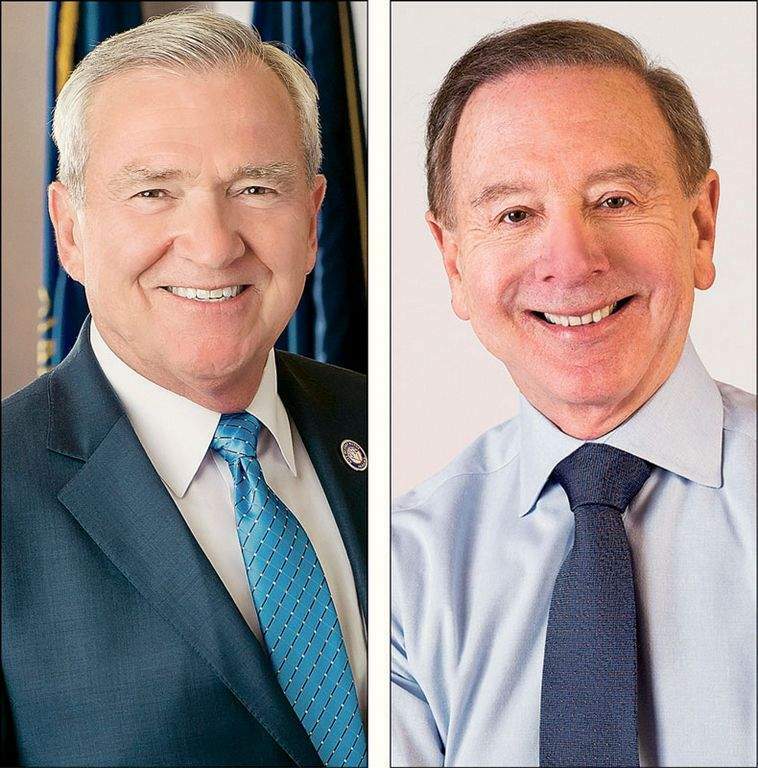 The Republican primary pits Crawford, who is almost as well known as the mayor, against Smith, a political outsider who, despite a career in a thriving industry and considerable service to the business community, is a relative political unknown. For better or worse, Crawford's record as a five-term City Council member speaks for itself. On economic development, he has joined forces with the current administration to help fashion a progressive nonpartisan majority on the council. When other councilmen were still weighing their options, Crawford championed the Riverfront and pushed Henry to move more quickly on Electric Works. He has taken the lead on some necessary but difficult measures, including tax increases targeted for specific local needs, and he has helped lead the opposition when the Henry administration overstepped, as in the annexation debacle. A respected oncologist, Crawford has been vocal about community health needs. He led the battle to ban smoking in Fort Wayne restaurants years before such crusades were fashionable, and he has been outspoken about the opioid epidemic. Crawford has also embarked on ill-advised campaigns that carried more than a whiff of partisanship, such as eliminating collective bargaining for non-public-safety employees and enacting an unenforceable set of local campaign-contribution limits. Smith, a senior vice president at MedPro Group, a locally based national medical insurance firm, puts forth fascinating ideas with confidence and energy. He doesn't discount the progress the Henry-Crawford coalition has made in making Fort Wayne a better place to live. But he views the things they've put in place much as a great chef might view a nicely set table. Fort Wayne has become even more attractive, he argues, but needs a mayor who understands how to recruit high-impact employers. Smith says he would go out and sell Fort Wayne, perhaps building on our strengths as a center for specialty insurance firms and related IT companies, which are already thriving here. He is spot-on about the need for traditional businesses to evolve to meet new challenges – though it seems an oversimplification to suggest that the failure to do that explains why Harvester and GE are no longer located here. It's hard to argue against Smith's plan to use the kind of from-the-ground-up budgeting businesses are used to in order to identify waste and direct more public funds toward such worthy efforts as incentivizing police to live in high-crime areas. But being an effective mayor requires more than a record of competent management in the private sector. Those skills don't always translate into a talent for public service. When he talks about pulling “deskbound” police back into street duty, for instance, Smith may underestimate the power of public safety unions. He says he would convene a team of local foundations to work on homelessness and the drug epidemic. Is Smith aware how much of that burden is already borne by the nonprofits – and how much unmet need is still there? Smith is at his least persuasive when he dismisses both Henry and Crawford as having been in local government too long to pursue new ideas. That sells both of these talented leaders short. What is the Fort Wayne revival they have both been championing, if not a bold, new idea? Smith is offering some intriguing critiques and approaches. But we endorse Democrat Henry and Republican Crawford, who already have Fort Wayne moving in the right direction.